In 1999 Corey left home to pursue her education. After attending Cuesta College in San Luis Obispo, she attended California College of the Arts in San Francisco/Oakland, CA. It was there that she found her way and the support to devote full attention to her calling, to create works of art. After receiving her Bachelor of Fine Art, she returned to the Sonora area where she now lives with her family - enjoying them and a full time art career. Corey is on fire with her art! She has garnered many awards for her art work both regionally, nationally and internationally. Her work has been sold throughout the United States and Europe. 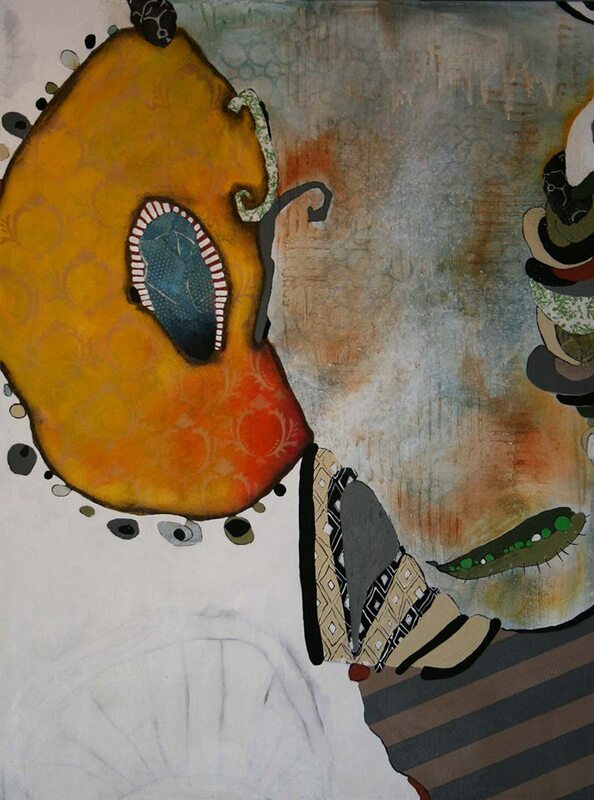 Corey's passion lies with painting "layers of texture" through mixed media abstract paintings. "My work is about pattern, layering, texture and the details within the bigger image. My work is approachable and meant to be touched, which makes it unique". Her work is created using layer upon layer of acrylic, ink, soft pastel and papers. Found objects or fabric can also be found hidden within the layers. Click here to shop for art by Corey.